During the summer months, many people travel, take vacations, and have new experiences that they will remember for a lifetime. While having fun with friends and family, financial management often takes a backseat to having the most fun possible in the amount of time available. Actually calculating how much was spent during these adventures can come as a shock once the person has returned home and financial management returns to the forefront of their mind. 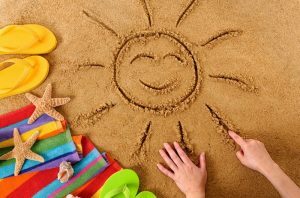 Here are some smart budgeting tips that will allow you to have your summer fun in the sun without breaking the bank. One of the most important budgeting tips for the summer months is to actually create a budget for the summer months. Just like you use a budget to manage your monthly expenses and control your spending, you can use a budget for your summer spending too. Review your finances and calculate what you can realistically afford to spend on summer fun. Once you have a budget established, you can plan your trips and search for deals that will save you money on your summer adventures. There are many ways to have fun during the summer without incurring a lot of additional expenses. Many expensive trip ideas have less expensive counterparts that can save you a great deal of money that can be used for other expenses or saved for the future. For example, instead of flying to a beach in an exotic location just to lay on the sand for a few days, consider driving to a beach that is nearer to your home and spending your vacation there. It will be the same sun and similar sand for less than half the price you would have paid to travel farther away. You can also limit your expenses by choosing free activities over paid ones, dining at places that offer coupons or discounts, and choosing lodging that is off the beaten path. Another good budgeting tip for the summer is to commit to using cash for your purchases instead of putting everything on a credit card. Studies have shown that people tend to spend less when paying with cash because they experience a physical separation from their money that is not felt when spending with a credit card. Spending cash will also keep you within your budget because once the money is gone, you know that you have reached your spending limit for that occasion. This will prevent a debt hangover once the vacation is done and you go back to your normal routine.